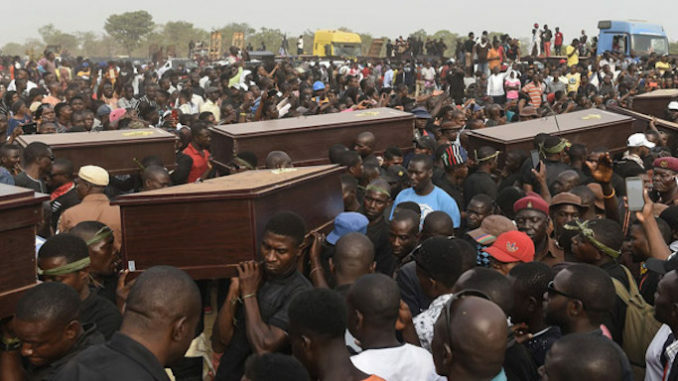 Over 100 Christians have been slaughtered by Muslim extremists in Nigeria over the past three weeks, amid a total media blackout. Following the tragic events in New Zealand last Friday, politicians and the mainstream media were quick to condemn the attacks in Christchurch. Some even politicized the tragedy to call for stricter gun laws and to demonize conservatives on social media. Newspapers have carried the story on their front pages and news channels around the world have led their broadcasts with it. Breitbart.com reports: The bizarre aspect of the coverage was not, in fact, the attention paid to a heinous crime committed in New Zealand, but the absolute silence surrounding the simultaneous massacre of scores of Christians by Muslim militants in Africa.